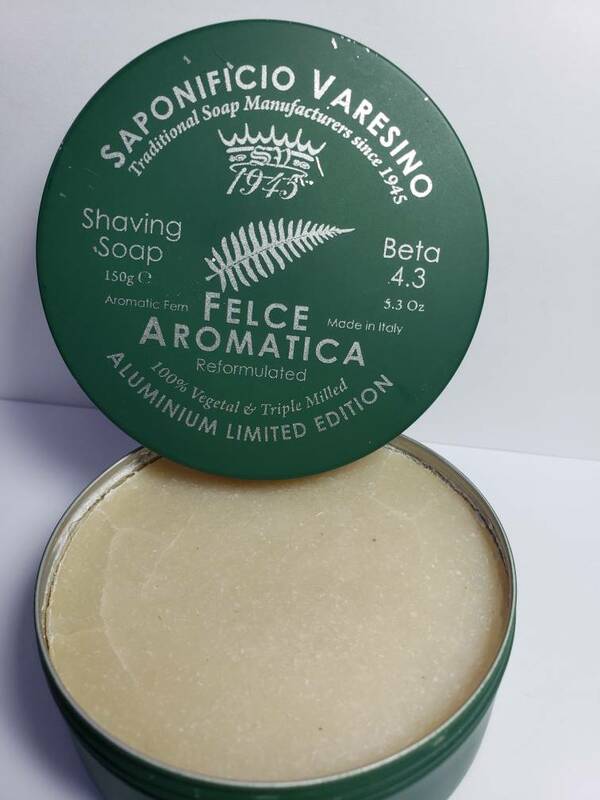 For sale is a used tub of SV Felce Aromatico. The soap was only used 3 or 4 times. As you can see bely the photo, the soap is still at the top of the tin. Sale price was $30 - price drop to $25. Conus shipping is included.